Source: Hawks could take Brandon Knight in 3-way deal for Lin. 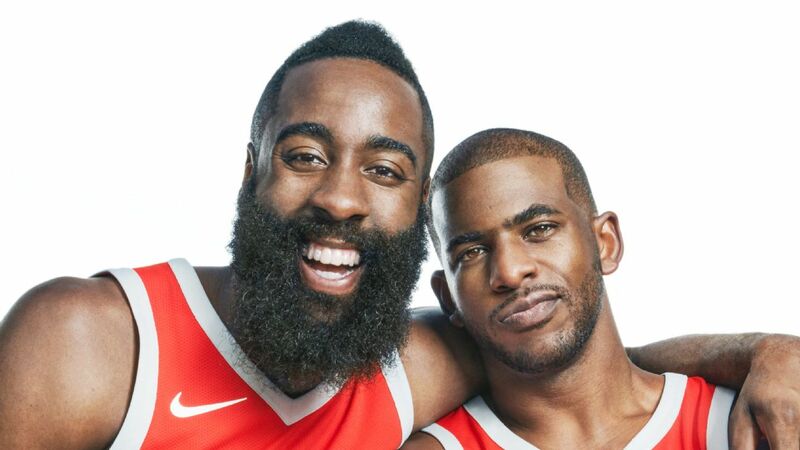 Discussion in 'Houston Rockets: Game Action & Roster Moves' started by BigBum, Dec 17, 2018. Houston and Hawks are still active on trade. What is your trade proposal for Knight, Lin and players from 3rd team? One of the variations of an Ariza deal that was discussed before the Suns sent him to the Wizards featured the Rockets and Hawks, league sources tell O’Connor. In that scenario, Ariza would have gone to the Lakers and the Rockets would have acquired Caldwell-Pope. The Suns would have received Jeremy Lin and an additional asset, while the Hawks got Brandon Knight and a first-round pick. Shams Charania reported this week on The Athletic that there was a possibility that Houston would be the third team in a deal for Ariza, where KCP would go to Houston, Ariza would go to the Lakers, and then Phoenix would get something in the deal. And one thing I heard earlier in the week is that Atlanta could be a team that would take on the Brandon Knight contract with a draft pick. I hope we bring Lin back. Great dude, our fans were unfair to him. c1utchfan925, gatsby, yoeddy and 26 others like this. Give us Taurean Prince from Atlanta. ReturnOfTheMac, motleydeflep6, Mr. Dominant and 11 others like this. haters would say they dont want lin back but the reality is he'd be a massive improvement over any of the guards we have. yoeddy, dreamshakin, arubato and 18 others like this. lnchan, bullman0036, Little Bit and 7 others like this. He is mentally delicate and weak. He has no desire to play for the Rockets. He was a disaster at understanding and executing switches. Maybe he has improved his defensive aptitude, and he would improve the Rockets bench but that is about it. roslolian, BarkleyHater84, ak99999 and 7 others like this. ReturnOfTheMac and vince like this. I like Lin, but I don’t know if I trust him after the game deciding turnovers in the Portland series. 34to11, Mr. Dominant, HakeemOnlyFan and 1 other person like this. roslolian, 34to11, dreamshakin and 33 others like this. Lin coming back would break the board. Seriously. Koperboy, Easy, dreamshakin and 38 others like this. This board would go in to meltdown mode if this happens. dreamshakin, ak99999, RyanB and 24 others like this. Where is the source that is stating both Houston and Atlanta are STILL active in trade talks? Or did I miss the Groupon deal on OP's insider newsletter offering? MorningZippo, roslolian, 34to11 and 22 others like this. are we trying to get into the lottery? ak99999, BasketMAD, Mazulis and 3 others like this. We'd cancel new membership signups for the entire duration of this possible tenure and we'll be ok.
Sweet Lou 4 2, roslolian, Rox11 and 5 others like this. He blends in "insider stuff " with a joke that revolves around the variations of "Bums." roslolian, hakeem94, D-rock and 1 other person like this. Lin ain't going to be out on the floor during crunch time this go around. He basically makes it so we won't ever have to play MCW and that's a good thing. cbs1507, rgw20014life and Rocket PR like this. Jeremy Lin's expiring contract would go a long way in acquiring a player not named Lin. How I tired of him dribbling into the paint and shrieking, "EEK!" when he jumped into the air in front of the opposing bigs and throwing the ball to an opposing guard for a breakaway layup. In any case, how do we know you ain't making all this up? Somebody see if we can get the OP an insider certification. Otherwise I'm awful suspicious-like. P-Diddy and Rocket River like this. Here's the unbiased assessment of JLin: for him to be an effective player, he needs the ball in his hands. Watching his play, he CAN cut to the basket. But that's not his forte. His forte is attacking the rim, or shooting off a PnR. JLin as a spot-up shooter doesn't bode well for him nor the organization he plays for. And this is exactly what we would ask him to do. DFWRocket and jb86 like this. RiceRockets, amaru, BaselineFade and 2 others like this. jcf, RiceRockets, BHannes2BHonest and 8 others like this.